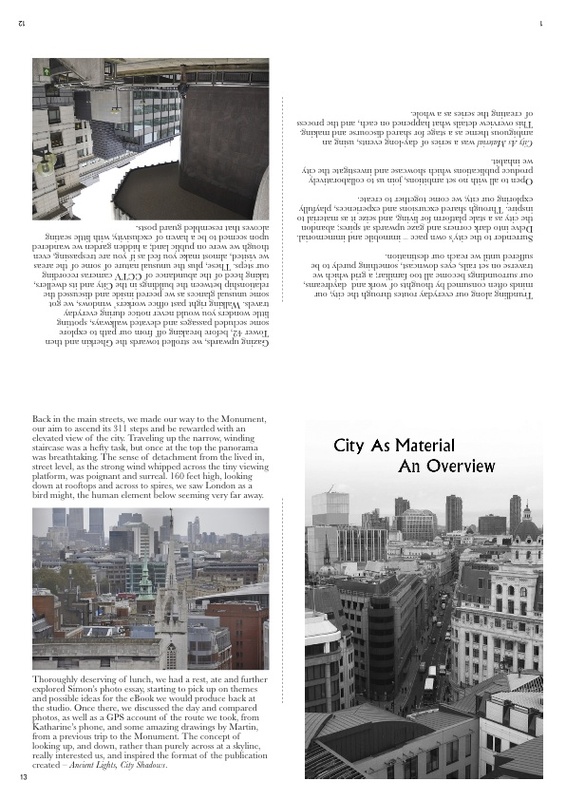 About : This eBook presents an overview of 5 City As Material events run by Proboscis in Autumn 2010 and the collaborative eBooks created by the participants : Streetscapes, River, Skyline, Underside and Sonic Geographies. It is the 10th eBook in this initial series (other individual books were created by Tim Wright, Alexandra Deschamps-Sonsino, Ben Eastop & Simon Pope) – which will be published in a special limited edition slipcase set (using bookleteer’s Short Run Printing Service) in Spring 2011. Giles Lane is the founder and director of Proboscis. He is an artist, researcher, designer and teacher and leads many of Proboscis projects including bookleteer. Hazem Tagiuri is a writer and Creative Assitant at Proboscis.